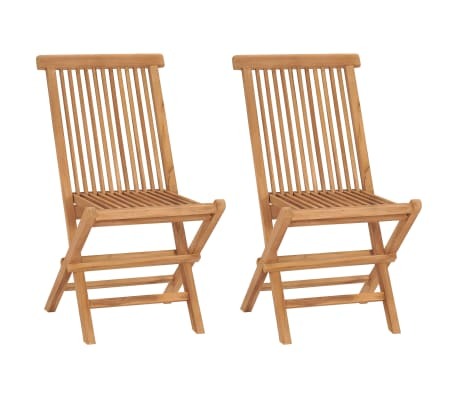 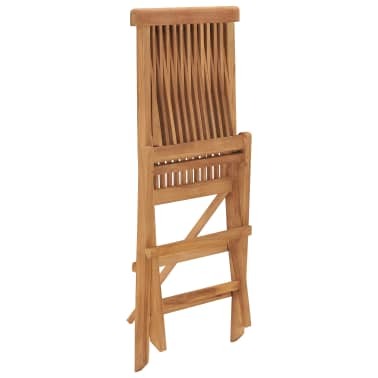 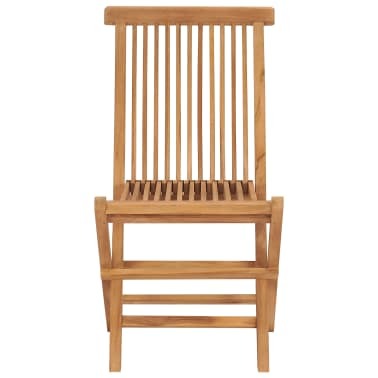 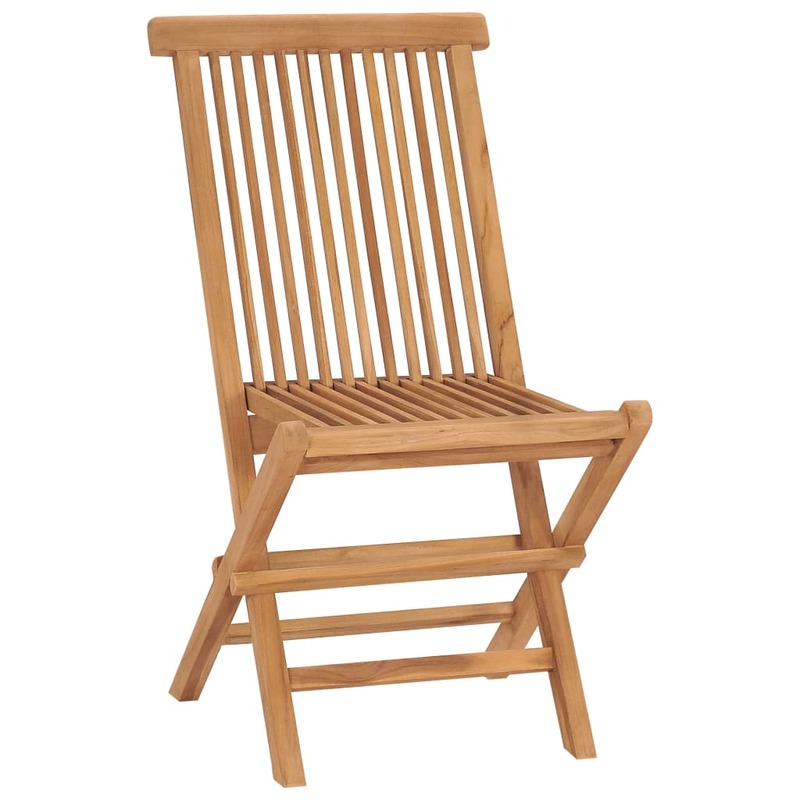 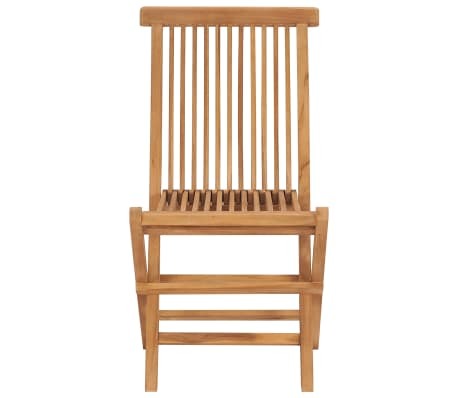 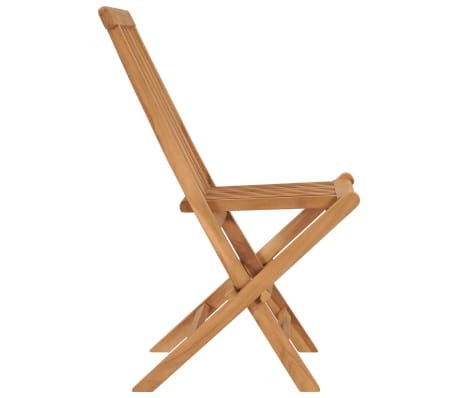 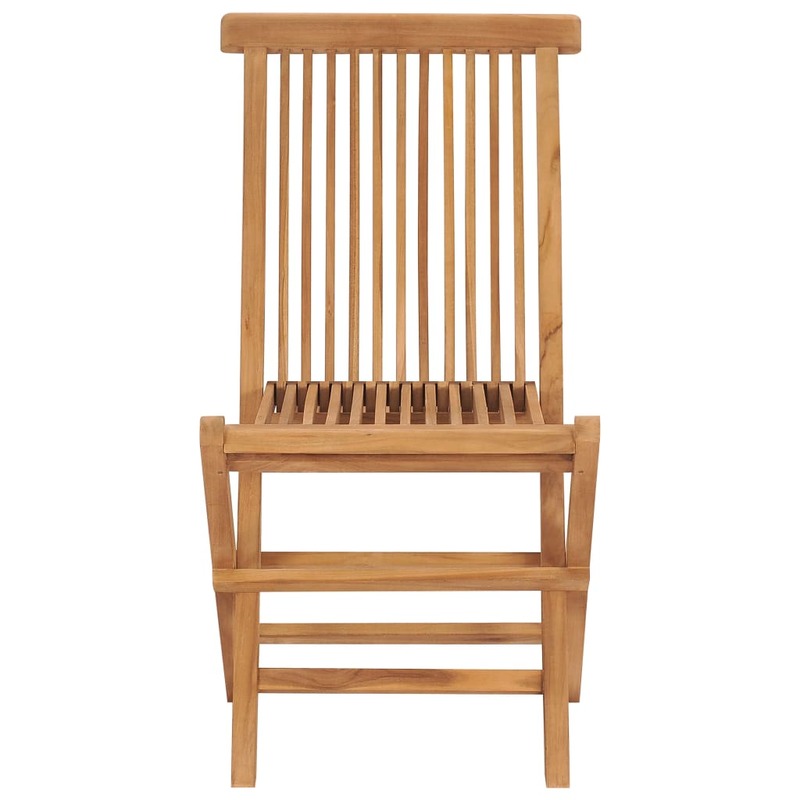 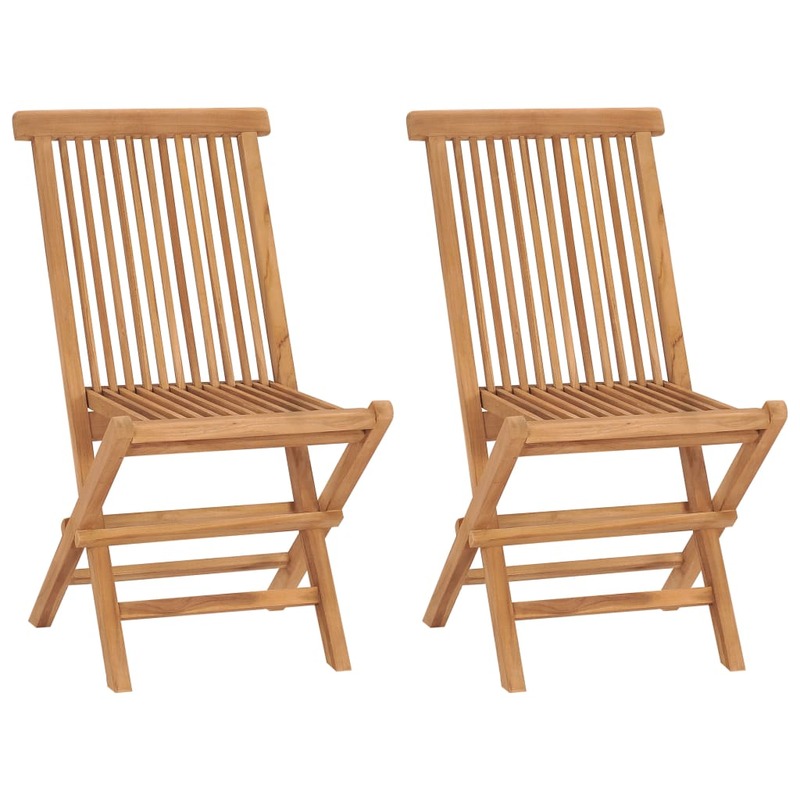 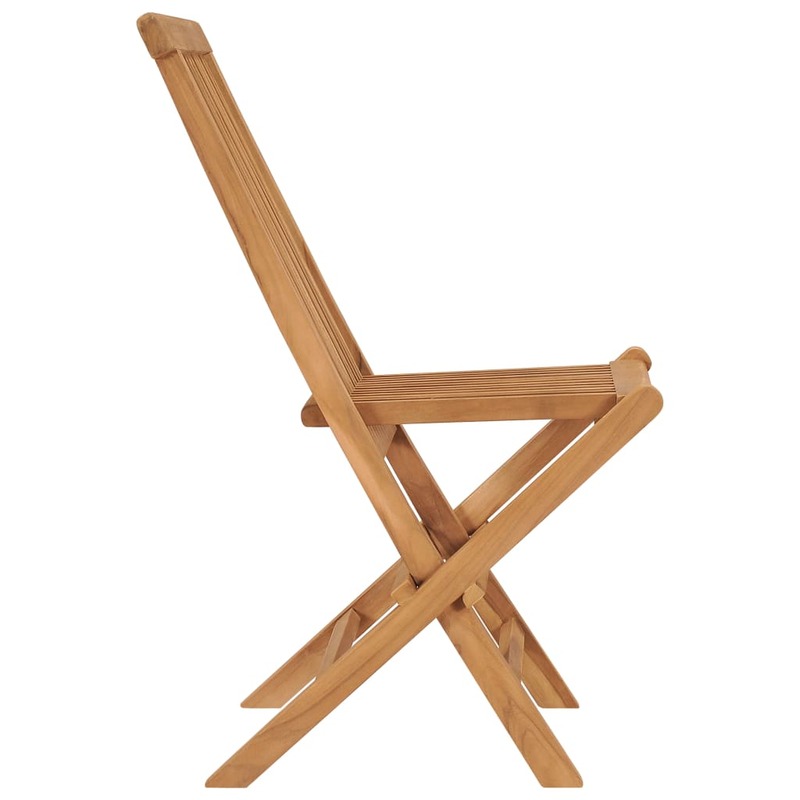 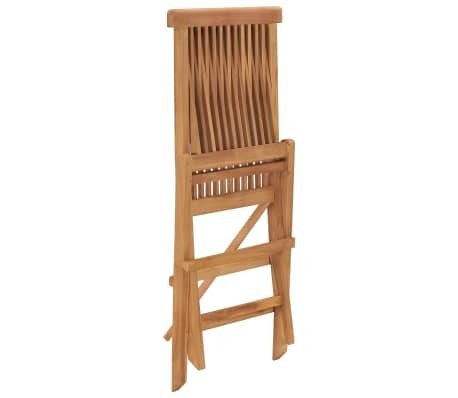 This teak folding chair, featuring a simple yet elegant design, will bring you a comfortable seating experience. 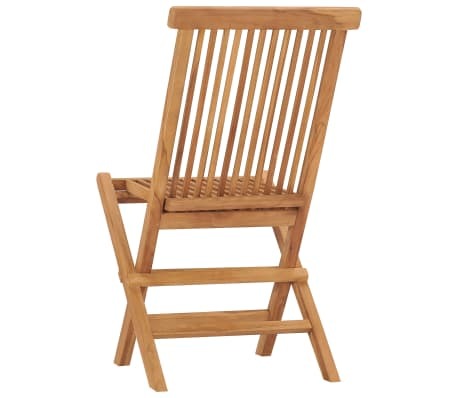 Made of high-quality teak wood, it's weatherproof and durable for years of use and can resist moisture and insects. 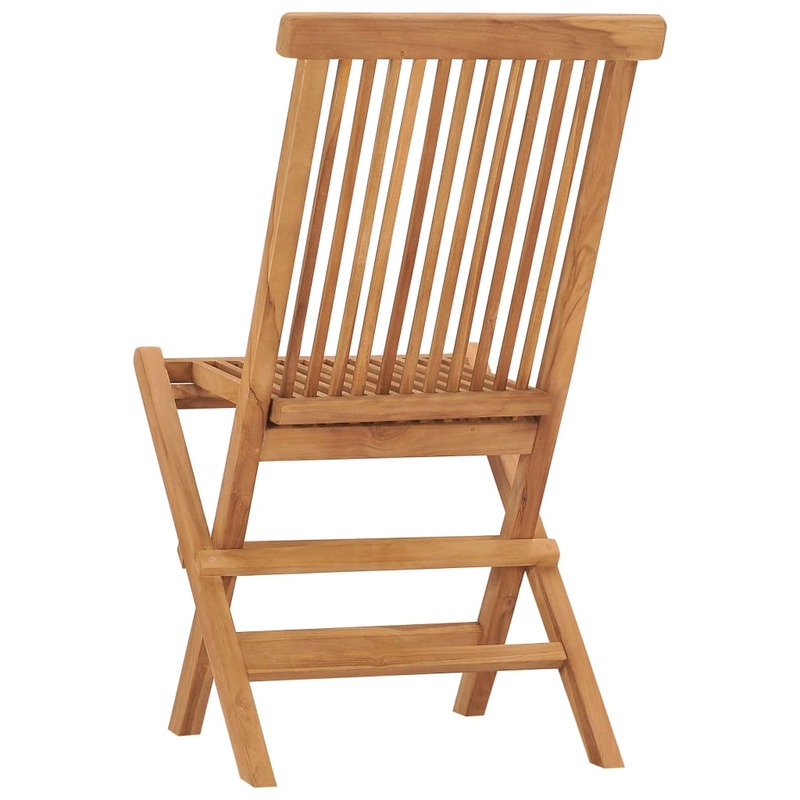 With a sturdy structure, this chair is very safe for you to sit on and provides you with long lasting comfort and great convenience to rest and relax. 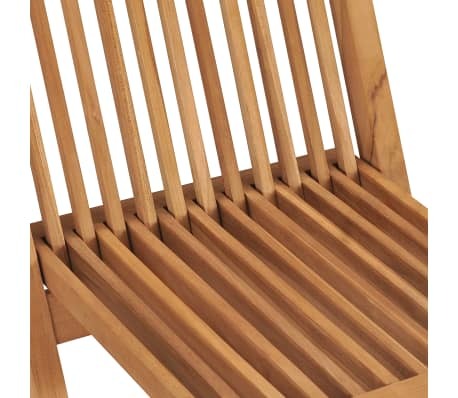 The polished surface is easy to clean with a damp cloth. 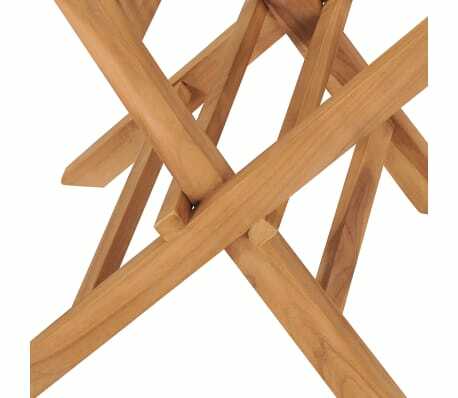 They are also lightweight, which makes them completely flexible and easy to move around. 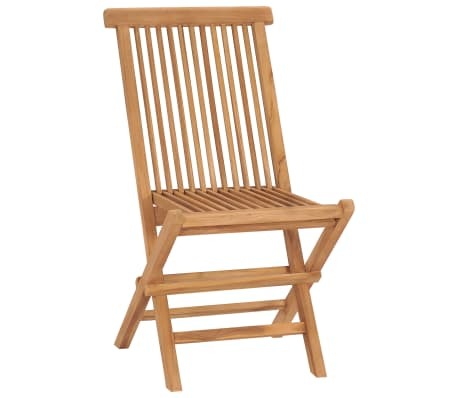 In addition, the chair can be easily folded away when not in use. 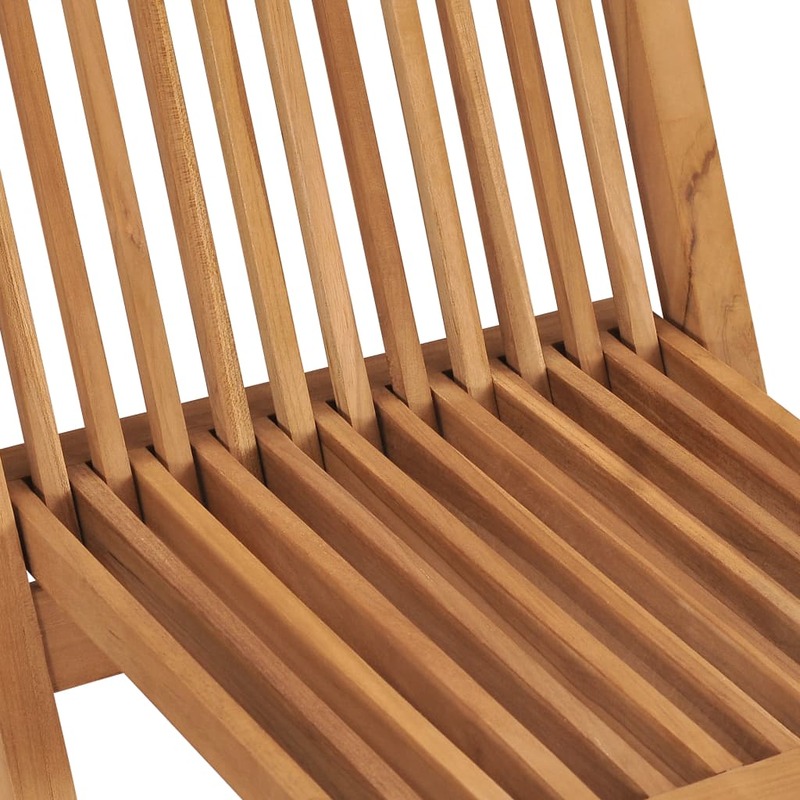 The product is applied with beautiful finish to give the wood a warm color. 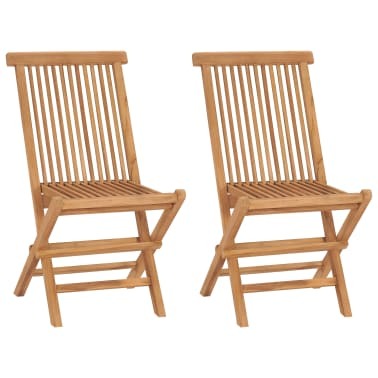 Delivery includes 2 folding chairs. 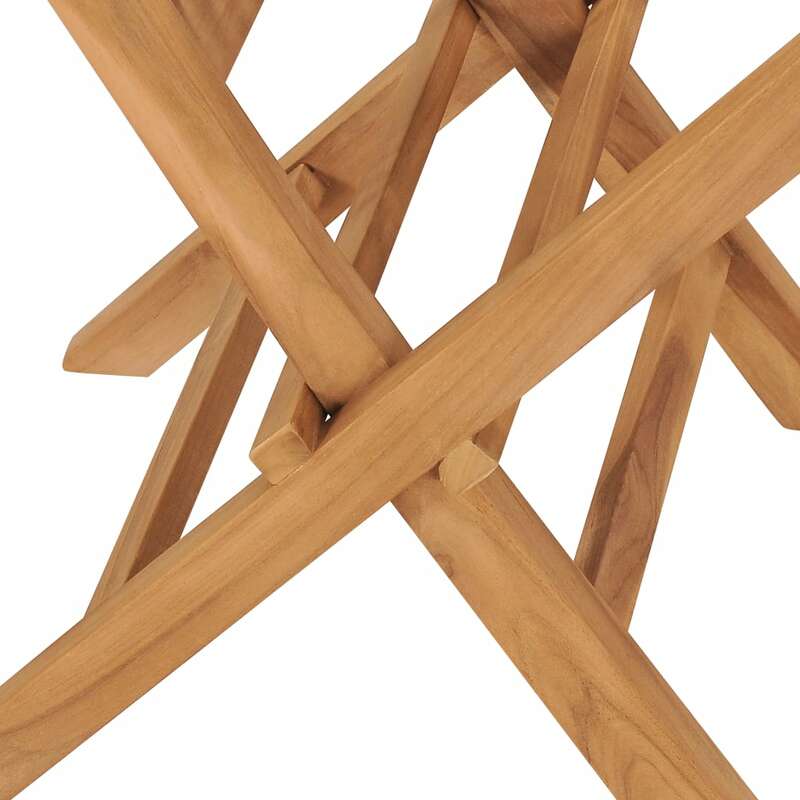 vidaXL Teak Outdoor Dining Table 47.2"x27.6"x29.5"